The ComsGate Payment Gateway efficiently processes millions of wireless, mobile, e-commerce and web-based Point-of-Sale (POS) transactions. Processor, network and device neutral, ComsGate accepts all payment types and provides real-time access to transaction data and activity reporting via its web-based Transaction Manager. 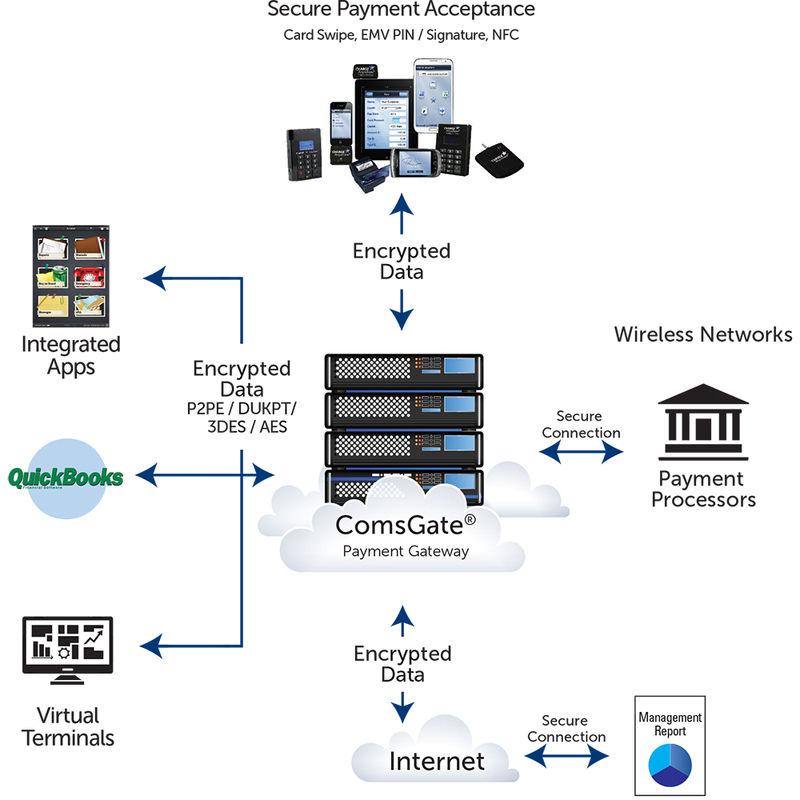 ComsGate seamlessly integrates with CHARGE Anywhere’s payment software for a closed loop, secure end-to-end solution. Powered by a state of the art data center that maintains 99.99% uptime with dedicated connections to all major processors and wireless carriers, ComsGate is the most secure and feature rich payment gateway in the industry. It’s the perfect solution to take full ownership of their merchant portfolio. Our payment gateway will reside in the center of your payment ecosystem and securely connects your payment devices to financial networks to ensure your payments are processed securely, quickly and correctly.